Cultural non-profit organization founded in Venice, Cotisse was constituted in December 2011 by the will of six founding members. The association takes name from the “cotisso”, a shapeless block of glass, shiny, colourful and irregularly shaped, the raws of the fusion, usually stacked up at the entrance of each furnace waiting to be added to the sand for the fusion. 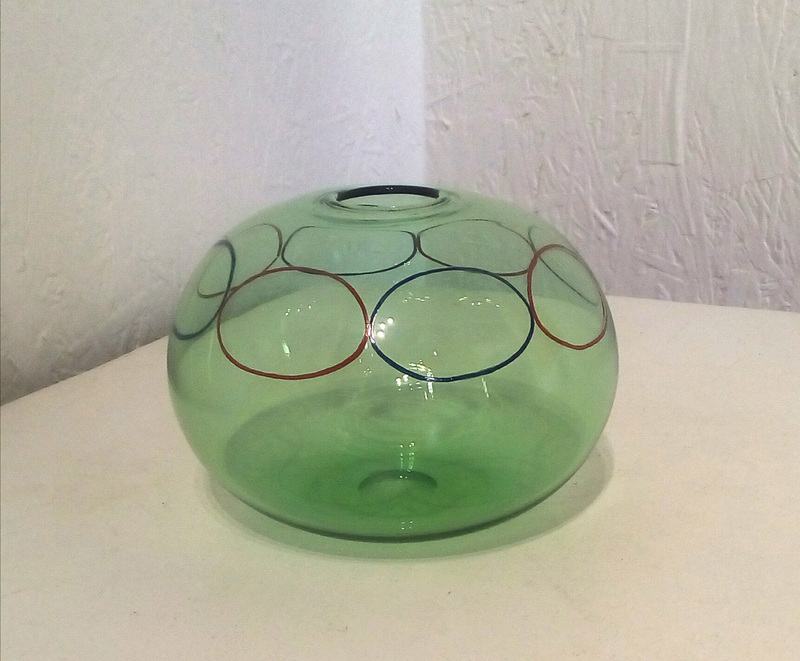 In Murano, you immediately see the cotissi glass as soon as you enter a furnace. The purpose of the organization is the knowledge, preservation, promotion and development of the artistic, technologic, and human heritage, represented by the ancient glass blowing technique in Murano. 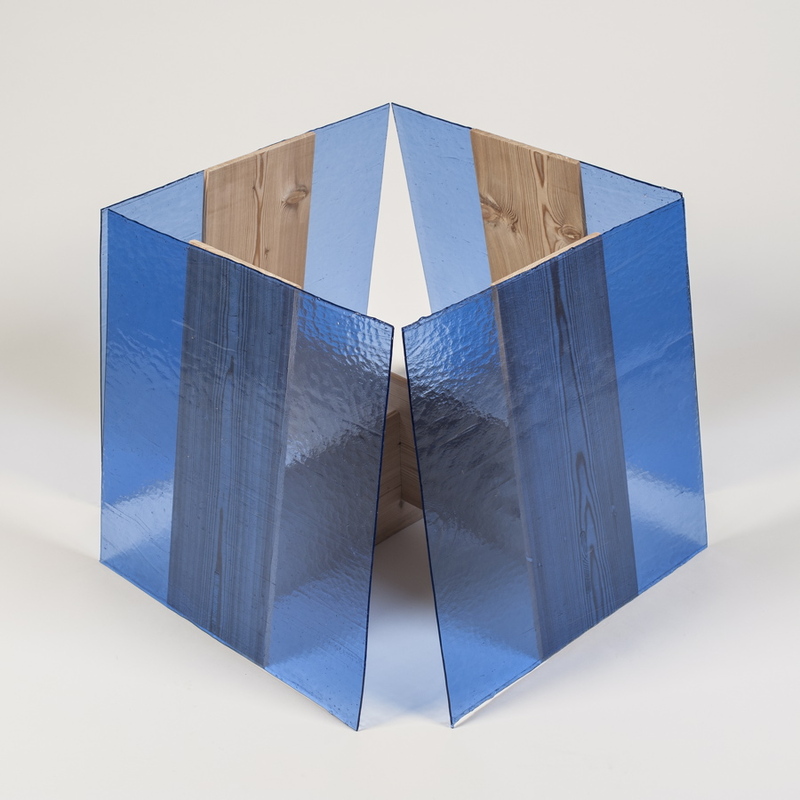 Cotisse financially supports the costs of testing and production of artworks inspired by the city and the lagoon territory, where glass becomes the medium of interpretation of the many possible cultural and anthropological visions. Every two years, directly or with the help of professional curators and art critics, Cotisse chooses an artist whom to offer, for a period of time, a stay in the lagoon dedicated to gather knowledge about artistic Venetian glassworks. The aim is the making of a project born out from the collaboration with a glass master. The Cotisse first project was trusted to the artist Francisco Tropa (born in 1968, in Lisbon, Portugal, where he currently lives and works.) The artist created the project Terra Platonica, exhibited in the Palazzo da Ponte in Venice, in May-November 2013. These new works are inspired by ancient cosmologies and include: slender structures in brass and multicoloured glass canes; a cycle of sculptures made from coloured glass sheets leaning lightly against wooden supports; blown glass objects, two of which are in the form of a light installation; a cycle of forty silkscreen prints, also made specially for the exhibition; and finally, two suspended wooden sculptures from 2002, chosen due to their affinity with the subject. Chosen to represent Portugal at the Venice Biennale in 2011, Tropa transformed the pavilion space into a sort of platonic cavern populated by overturned shadows of natural and artificial objects: an eloquent example of how the artist loves to ask philosophical questions about art and reality in general through works of great visual and poetic suggestion. Terra Platonica considers the question, particularly dear to the artist, of fiction and truth in relation to art, starting with some obsolete representations of the cosmos. The first, taken from a nineteenth-century text by Flammarion on “astronomical myths” called “Terra platonica”, shows our planet as a cube suspended in space, whose square and flat upper face constitutes the inhabited part. The second depiction of the cosmos is developed from the illustrations in Cosmas Indicopleustes’ Christian Topography from the sixth century AD: the earth appears flat and rectangular, surmounted by a firmament of barrel vaults similar to a baldachin. The third representation, with which modern viewers are perhaps more familiar, refers to Dante’s Divine Comedy: it hypothesises a spherical earth, hollowed out on one side by a deep conical chasm (Inferno) and dominated by a high mountain (Purgatory) on the opposite side. The Cotisse second project 2013/2014 was trusted to the artist Cerith Wyn Evans (born in Wales in 1958, currently lives and works in London). Cerith Wyn Evans has elected to rewire the famous Ciocca veneziana or Ca' Rezzonico chandelier, marvelous work fabricated in Murano on the second half of the XVIII century. 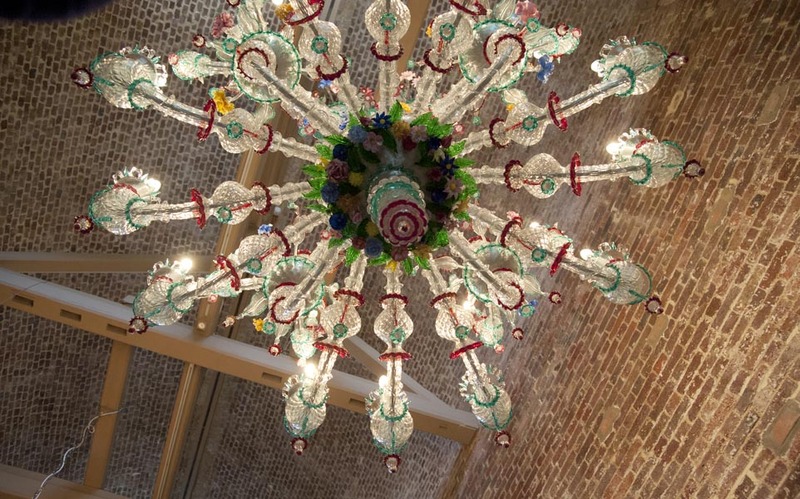 The chandelier, structured in the form of a "pagoda" in cristall glass with polychromy flower ornamentos, was conceived and produced by Giuseppe Briati in Murano, and it is still produced only here. Evans has often used ready-made lighting fixtures, and here too he utilizes an artistic reproduction of that Rezzonico, togheter with a suite of music known for its elegiac qualities: Pascal Ravell Le Gaspare de la Nuit . The chandelier is meant to flicker to the tune of the music. Working with the electrical cables of this spectacular artwork, dimming the light at the beat of the famous musical suite, the great "Ciocca" breathes at the rhythm of the music, shining new light. A subtle and poetic "détournement" of history, capturing the melancholy that is unique to Venice. The Cotisse third project was trusted to the artist Andrea Buttner. Andrea Buttner’s work spans a range of media, from woodcuts and reverses glass painting to video and performance. She often makes connections between art history and social or ethical concerns, with a special focus on the ideas of poverty, shame, significance, and vulnerability. She likes to challenge notions of high and low, fine art and craft, and inside and out. Glass painting, in particular reverse glass painting, which has a long tradition in Germany, has been significant part of her practice, and she keens on exploring other ways of working with glass. 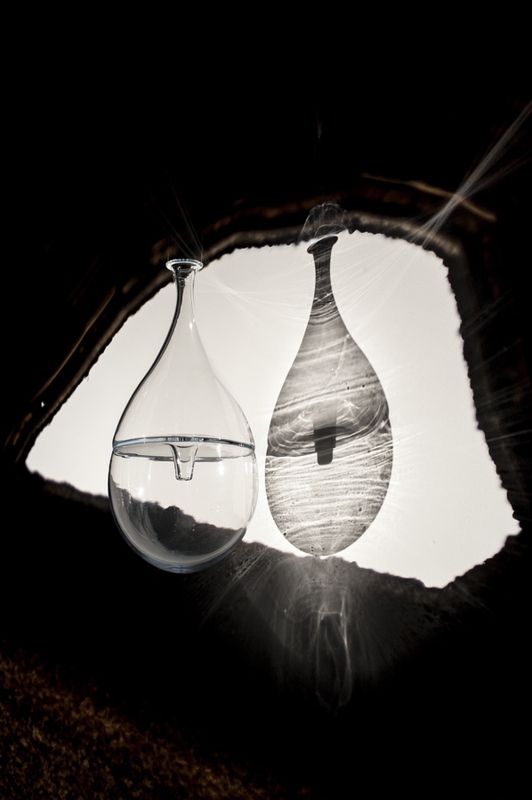 For the project in Venice, she is interested in collaborating with local glass workshops to create two distinct groups of objects: the first, a set of large vases related to her woodcuts, and the second, a series of smaller hollow vessels that reference certain round motifs, such as moss, heaps and potatoes, which run through her art. She has shown in numerous exhibitions in museums and institutions worldwide, including Kunsthalle Wien, Vienna, Austria (2016); Walker Art Center, Minneapolis, USA (2015); Museum Ludwig, Cologne, Germany (2014); Tate Britain, London, England (2014); and National Museum Cardiff, Wales (2014) among others. She has also participated in prominent international group shows such as dOCUMENTA (13), Kassel, Germany and Kabul, Afghanistan (2012) and the São Paulo Biennale, São Paulo, Brazil (2010). She is currently one of the finalists at Turner Art Prize. "Rezzonico" chandelier, multicolored hand-made blown glass by Galliano & Ferro in Murano H 200 x 166 x 166 cm / kg 40 Replica of "Ciocca" by G. Briati (XVIII century) on display at Museum of Ca' Rezzonico, Venice. Francisco Tropa, Terra platonica, 2013.